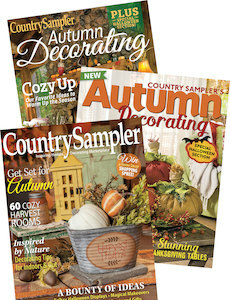 Save over 70% off the cover price when you order this special 3-pack collection of favorite fall themed Country Sampler issues. Visit country homes brimming with the cozy comforts of fall. Check out harvest and Halloween-themed decorating ideas. See new ways to decorate with branches, gourds, Indian corn and more! 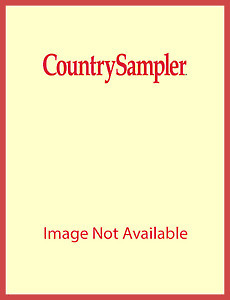 Includes issues: Country Sampler Aug/Sep 2015, 2016 and 2017. We reserve the right to substitute for out-of-stock items.